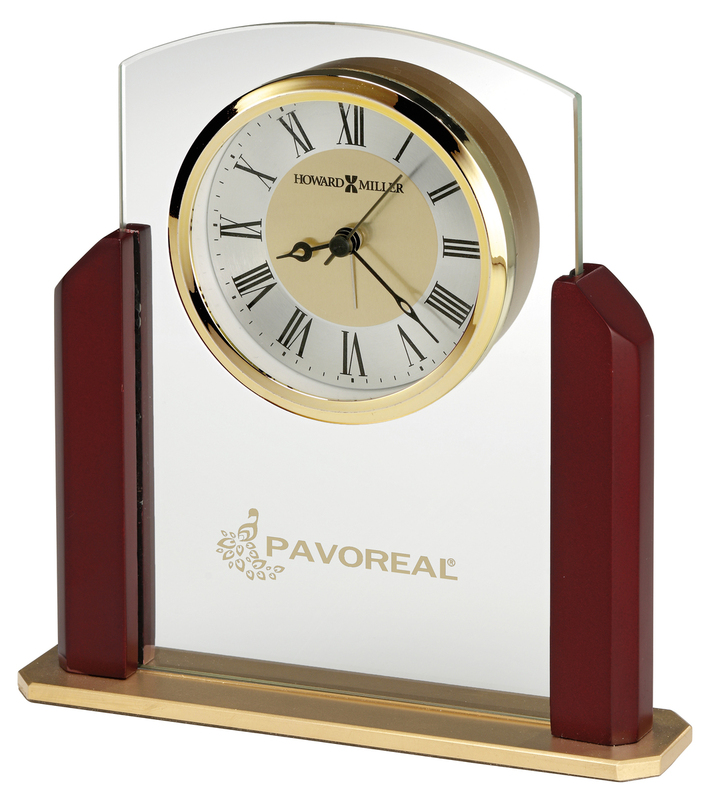 This gently arched glass tabletop alarm clock features Satin Rosewood Hall finished sides atop a satin gold-tone base. A polished gold-tone bezel surrounds the spun, diamond-cut metal silver- and brass-finished dial, with black Roman numerals and a flat glass crystal. All production begins after paper art is approved. Allow three (3) working days for proof; seven (7) working days from signed paper art approval for silkscreen or laser etching.